The Complete Preludes constitutes another captivating milestone in Dmitri Alexeev’s ongoing project to record Scriabin’s entire oeuvre for the piano on Brilliant Classics, a cycle that already includes the complete Piano Sonatas (2CD BC94388) and Complete Études (BC94439). The 90 preludes composed by Alexander Scriabin (1872–1915) span the entirety of the three periods into which his musical career is usually divided. His fastidious habit of indicating the date and location of compositions allows us to trace groups of roughly contemporary pieces. Consequently, it can be seen that around half of the preludes fall into the ‘first period’ (1888–1900), in which the composer’s music was heavily influenced by Frédéric Chopin’s work. Scriabin’s music evolved over the course of his life, and in 1900, he completed the 2 Preludes Op.27. These compositions exorcised the spirit of Chopin which had hovered over their predecessors, therefore marking the end of the so-called ‘first period’. 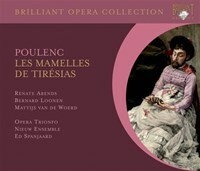 Whilst more harmonically adventurous, his ‘middle period’ works still mostly adhere to traditional functional tonality. In the third period (1910–14) Scriabin composed his final works, the Preludes Op.74. Stable tonality and key signature disappear completely. However, Scriabin’s interest in symmetrical patterning is highly evident. They raise the tantalising question of where Scriabin might have taken 20th-century music had he not tragically died the following year. Russian pianist Dmitri Alexeev is one of the world’s most highly regarded artists. His critically acclaimed recitals on the world’s leading concert stages and concerto appearances with the most prestigious orchestras have secured his position as one of ‘the most remarkable pianists of the day’ (Daily Telegraph). 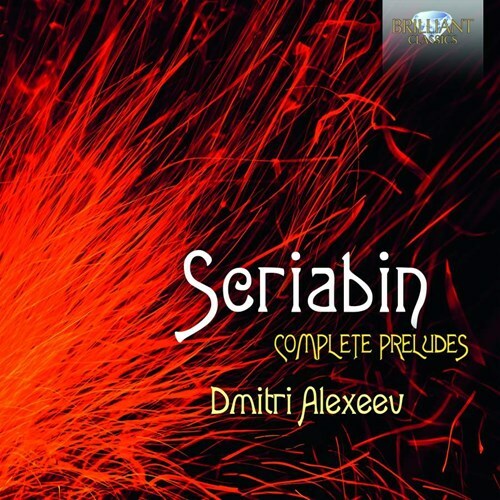 The third instalment of Dmitri Alexeev’s complete Scriabin recording project: the complete Preludes. Scriabin composed a total of 90 preludes, which span the three periods into which his musical style is generally divided. Around half of them fall into the first period, that of the “Russian Chopin” style (the 24 Preludes Op. 11 have Chopin’s Op. 28 as inspiration). The later preludes move more and more away from this, into the exalted realms of Scriabin’s sound world, in which his own personal harmonies and esoteric philosophy find their unique and mesmerizing expression. Dmitri Alexeev is one of the foremost Russian pianists of today. 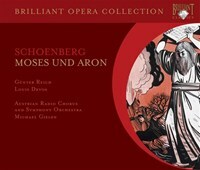 He played with all important orchestras and conductors, and extensively recorded for EMI. 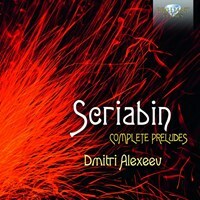 His previous Scriabin recording for Brilliant Classics include the Complete Sonatas and the Complete Études, both were hailed enthusiastically by the international press: “He emphasizes the music’s lyrical beauty without sacrificing energy or forward mobility…few recordings are so intrinsically beautiful as Alexeev’s.” Jed Distler on Classicstoday.com. 2 Prelude and Nocturne for the Left Hand, Op. 9: I.
Om du tycker om Complete Preludes, berätta det gärna för dina vänner! Du kan snabbt och enkelt dela denna sida direkt på Facebook, Twitter och via e-post här nedanför.